Kursk is an Invincible villain, first seen in 2003. 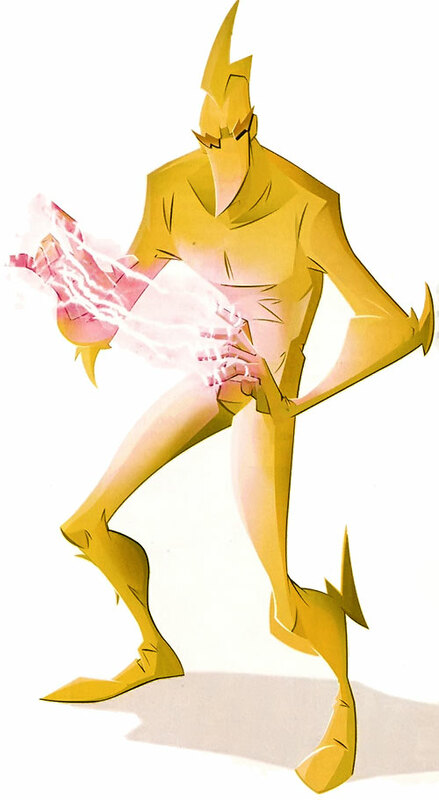 But the specifics are unimportant – he’s a simple and generic villain with a dash of colour. He can be plugged in nearly anywhere. Kursk possesses the ability generate large amounts of electrostatic energy. He generally emits this energy in focused bolts of lightning-like electrical arcs from his hands. At their maximum intensity, Kursk’s bolts can easily kill a man. 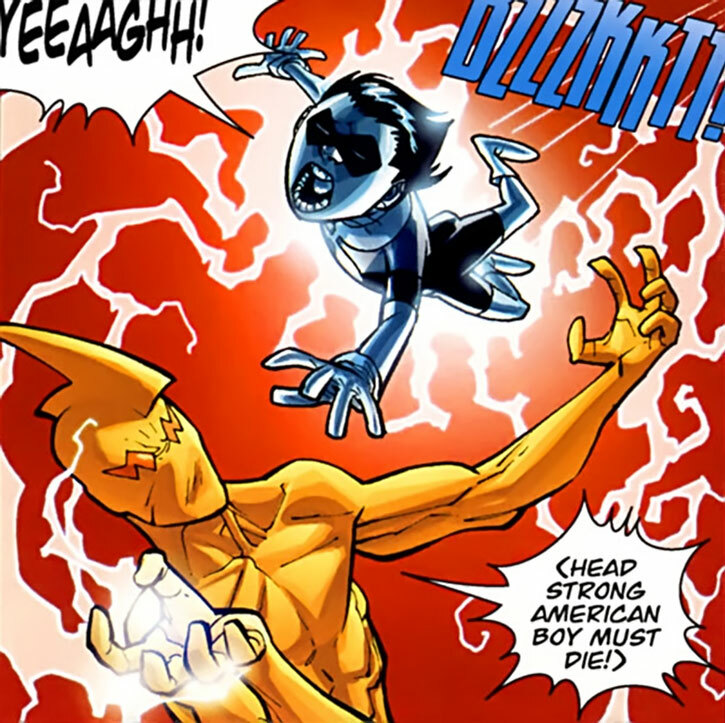 While Kursk’s powers are in use, the air that immediately surrounds his body is filled with electrostatic energy. Anyone who dares touch his form during these periods are in danger of being electrocuted. Kursk is seemingly immune to the effects of his own electrostatic energy, and to electricity from other sources. Kursk first gained notoriety in Russia after he engaged the Red Rush in a series of battles. Despite his best efforts, he found himself imprisoned after each encounter with the former Guardian of the Globe. Eventually, Kursk traveled to the United States. He entered into the employ of Machine Head as one of his premier bodyguards. Kursk held his position for but days before Invincible and the Guardians of the Globe engaged Machine Head’s forces in battle. Kursk was quickly rendered unconscious during the conflict by Shrinking Ray. As a result, Kursk found himself imprisoned once again; this time in the Stronghold Penitentiary. Over the next two years, he would escape from captivity several times. 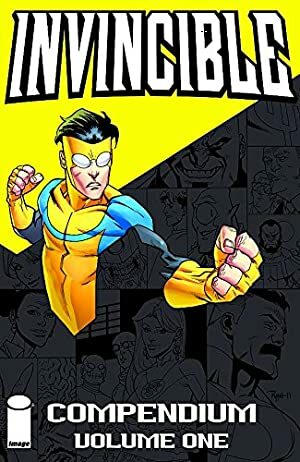 Whenever he got loose, he was hired by the Order, a criminal organization that employed superhuman mercenaries in order to achieve their goals. Each time though, Kursk was quickly returned to his cell by the powerful young Viltrumite hero Invincible. Kursk is currently languishing in his cell, waiting for his next opportunity to escape. Kursk is a slim White male of average height and weight. His true features have yet to be revealed, even though he has been imprisoned several times. 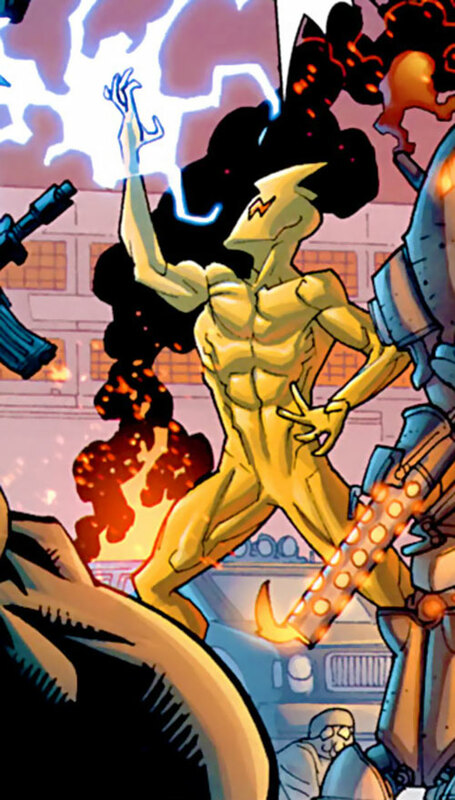 In every one of his appearances to date, Kursk has been seen wearing a yellow spandex body suit. It literally covers him head to foot. It has no true distinguishing marks or symbols on it, outside of a stylized lightning bolt fin that sits atop his head, and at the tips of his elbows and on his calves. 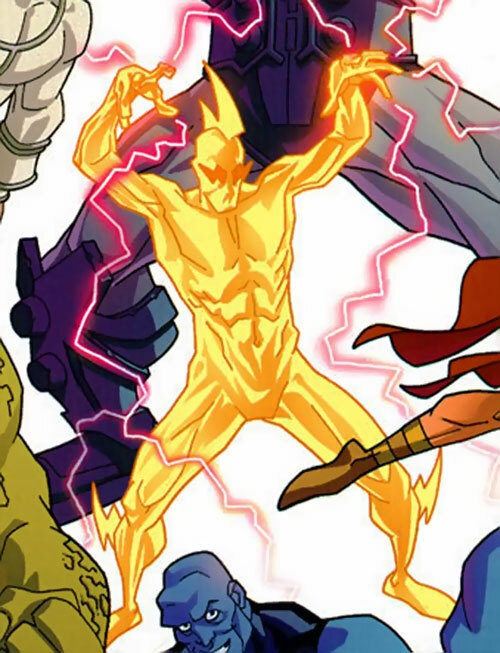 The eye holes of his costume are hidden behind another pair of lightning bolts. Kursk is a professional mercenary and bodyguard who has displayed very little concern for the human lives that surround him. At this point he is entirely motivated by two things; money and self-preservation. Kursk is not above employing deadly force in order to achieve his goal. But when confronted by a sufficient enough threat, he will often flee or simply surrender. All Powers are Contingent Upon Lightning (-1FC each). Titan (Low), The Order (Low). Miscellaneous (Kursk’s spoken English is broken at best). As always, this write-up is based on Kursk’s actual appearances in the literature rather than what was speculated in the OHOTIU. The handbook speculated that Kursk’s electricity based powers were far more varied and complex, but in every appearance he has only displayed the ability to generate blasts of lightning and surround himself with a field of electric force. Writeup completed on the 3rd of August, 2013.